Milan, April 2018. 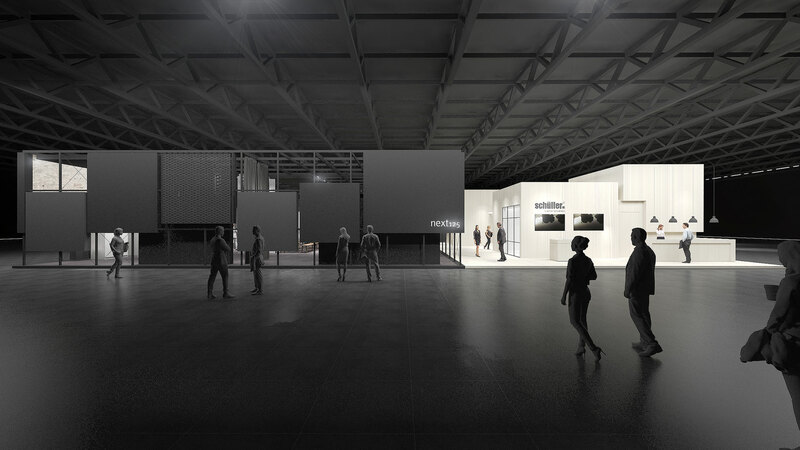 Every year, during the Milan Design Week the North-Italian metropolis turns into a hotspot for tens of thousands of designers and interior architects from all over the world. With five fairs taking place simultaneously the industry celebrates the newest trends in furniture, interior fittings and decoration. One of those fairs is the international kitchen fair EuroCucina that takes place every two years. Those who want to exhibit here must perfectly arrange their brand among some spectacular appearances. Schüller Möbelwerk returns to Milan after an eight-year break with its new creative partner at its side: D’art Design Gruppe. Our designers assume a special responsibility with this task. As one of the biggest German manufacturers of kitchen furniture, the family business Schüller from Franconia used to arrange and implement its fair appearances on its own. For its comeback at EuroCucina it looked out for an external partner that possesses not only the required expertise for multi-sensorial brand spaces but also understands the company with all its facets. A creative partnership is a matter of trust and with the twio parties the basis is just right: Just like Schüller Dart has been owner-operated since its foundation, makes no compromises with regards to design and appreciates reliability and process security. Customer empathy is part of Dart’s basic understanding. We see ourselves as a coach, sparring partner and scout that develop ideas together with its customer, refines concepts and manages the implementation – until the key-turn stand handover. The comeback to EuroCucina is something special: An appearance for two brands, Schüller.C and next125. Modern and flexible on the one hand, reduced and aesthetic on the other. To characterize both aspects spatially and visually, at the same time highlighting the entrepreneurial basis, that is the challenge. 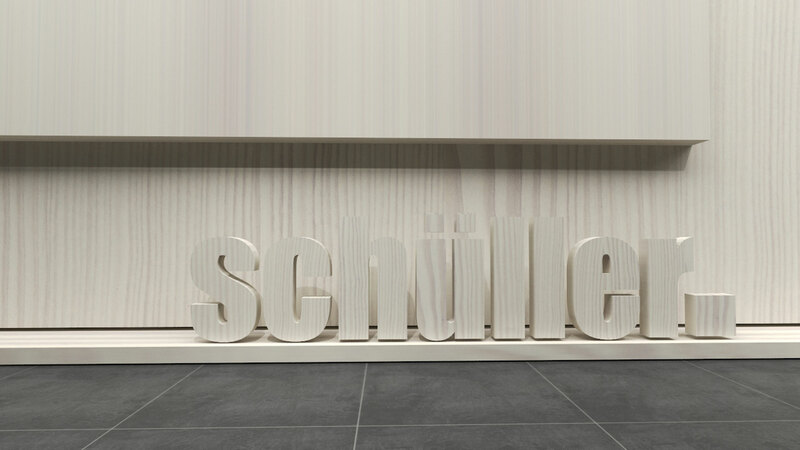 Schüller requested nothing less than the perfect stage for its international Milan audience – for the presentation of the novelties of its premium brand next 125, of the functionality of its trademark Schüller.C and finally for the new positioning as an enterprise at EuroCucina. The colour and material are the principal means with which the Dart designers create two, at first sight, opposed areas: Bright wood and dark metal. Modern living worlds in white glazed spruce wood underline the functional properties of Schüller.C. The strong colour contrast with the wall and floor areas in a strong yellow demonstrates character. Dark expressive settings encase the elegant kitchens by next125. Black pulverized aluminium structures, concrete optics on the floor and atmospheric lighting fuse into abstract living worlds – be it a loft, a mansion or a barn. An unexpected contrast is especially likeable: The campaign’s animal motives – sheep, geese or cattle from the Allgäu region are integrated and fill the next125 kitchens with life. Two products, one company – made tangible by means of brand architecture. Cubic façade elements, open at next125 and closed at Schüller.C, optically connect both brands with each other. The two also share the same fundament from which tri-dimensional Schüller logos seem to rise. Great praise for Dart for the Milan comeback of Schüller. And the affirmation that the decision to cooperate was just right for both parties. Mission accomplished.